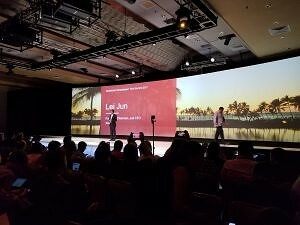 It’s finally official: At the 2017 Snapdragon Developer Conference in Maui, Hawaii, Qualcomm took the wraps off the Snapdragon 845, the newest flagship in its 10-year-old Snapdragon system-on-chip series. The San Jose, California-based company wasn’t willing to spill all of the beans just yet — it’s hosting a talk exclusively about the Snapdragon 845 on Wednesday — but it gave a tantalizing glimpse of its latest and greatest chip on Tuesday. Qualcomm’s the largest fabless semiconductor company in the world, and its chips power billions of devices. But it has its eyes on the estimated 8.6 billion smartphones that are expected to ship between 2017 and 2021. 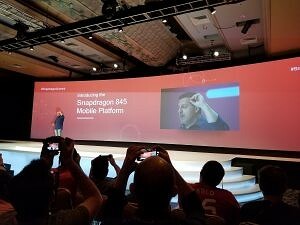 The Snapdragon 845 was three years in the making, Qualcomm said, and the development team honed in on five core features: Content creation, virtual reality, artificial intelligence, wireless, and power consumption. It’s designed to be highly secure, and to perform tasks like real-time language translation and high-speed wireless without adversely impacting battery life. Qualcomm’s keeping some of the Snapdragon 845’s details under wraps for now, but Dr. ES Jung, President of Samsung Foundry, announced that Samsung — the chipmaker’s longtime hardware partner — would produce the first engineering samples based on a 10nm LPE process. Xioami CEO Lei Jun, who was also in attendance, said onstage that the company’s future flagship devices would use the Snapdragon 845. That’s a big get — Xiaomi’s worked with Qualcomm for six years, and its more than 238 million smartphones pack Qualcomm processors of all ranges. Qualcomm took the opportunity Tuesday to give an update on its other big hardware platform: Networking. Following the launch of the X50 modem and 5GNR smartphone reference design earlier this year, the chipmaker says it’ll work with 40 other companies toward deploying consumer 5G by the first half of 2019. It’s already testing spec compliance with China Mobile, and expects to see mass adoption sometime in 2020. 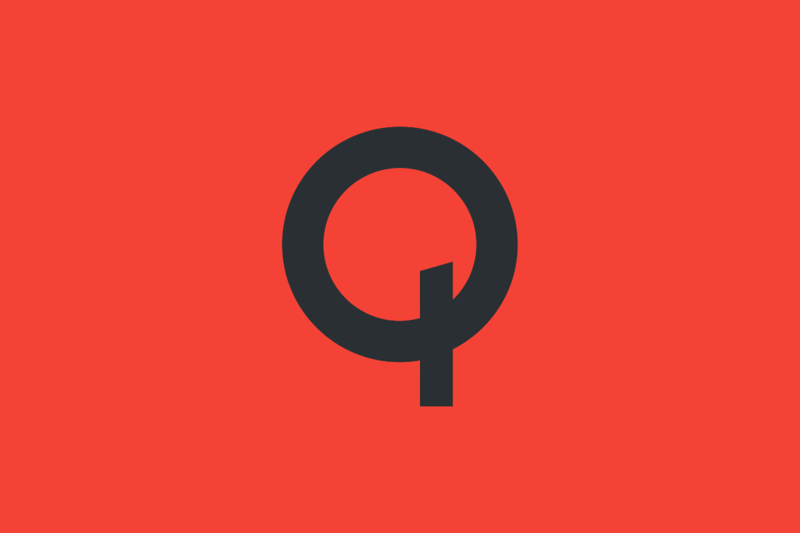 In the meantime, Qualcomm’s focusing on gigabit LTE. It’s teaming up with carriers such as T-Mobile and AT&T to deploy high-speed LTE in new regions, and assisting in the installation of millimeter wave technology that’ll reduce future rollout costs. “Smartphones are the custodians of our digital lives,” Cristiano Amon, Executive Vice President of Qualcomm’s QCT division, said. “Mobile technology transforms everything around us. The goal is to interconnect everything around us — to drive the smartphone platform which changes what we do as a society.